The Interceptor 10M is the first stealth-designed high-speed small craft for Navies, Coast Guards and Police agencies. It is maneuverable, versatile, rugged and reliable, and suited to a wide range of applications like search and rescue, special operations, and patrol. 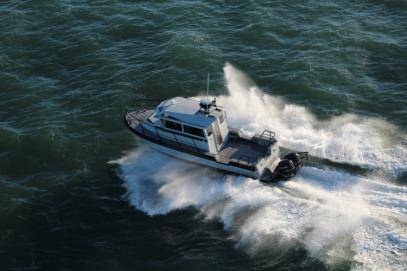 The Interceptor 10M patrol boat is the first model in the newest line of MetalCraft Marine high speed patrol boats. The cabin features a multi-faceted array of angles that redirect radar so the vessel's signature is significantly reduced (some options required). 7'3" standing headroom aft and 6'11" headroom forward. The cuddy has two berths and room for an optional small galley or full head, and 6'3" headroom. We've engineered the Interceptor 32 for unubstructed view from the helm for safer high-speed operation. A large, clean, and flat working platform aft provides mission adaptability. A heavy duty hull structure to American Bureau of Shipping Standards provides a 25-year platform and 10 year hull warranty. 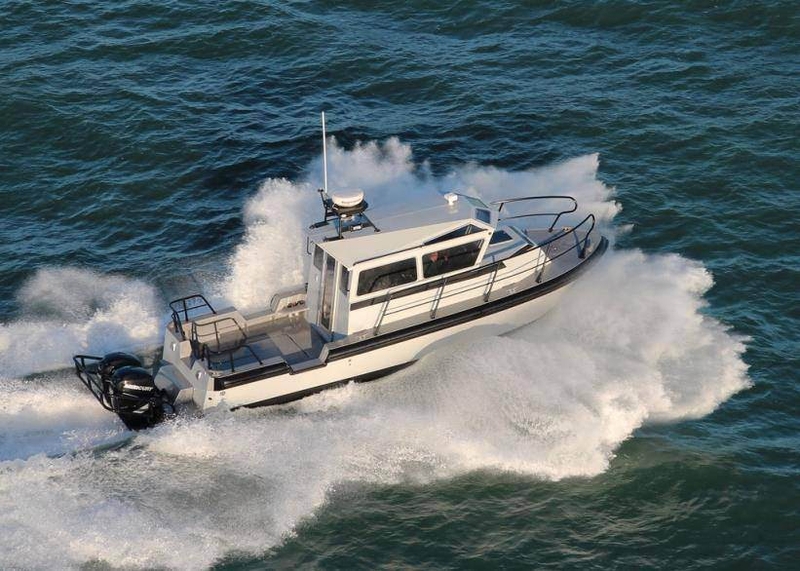 A tough, lightweight aluminum patrol boat, the high speed Interceptor 10M is available in outboard or inboard configurations, with many commercial-grade options available.